Tonight I made an adaptation of a NY Times recipe, Lentil and Carrot Salad with Middle Eastern Spices. 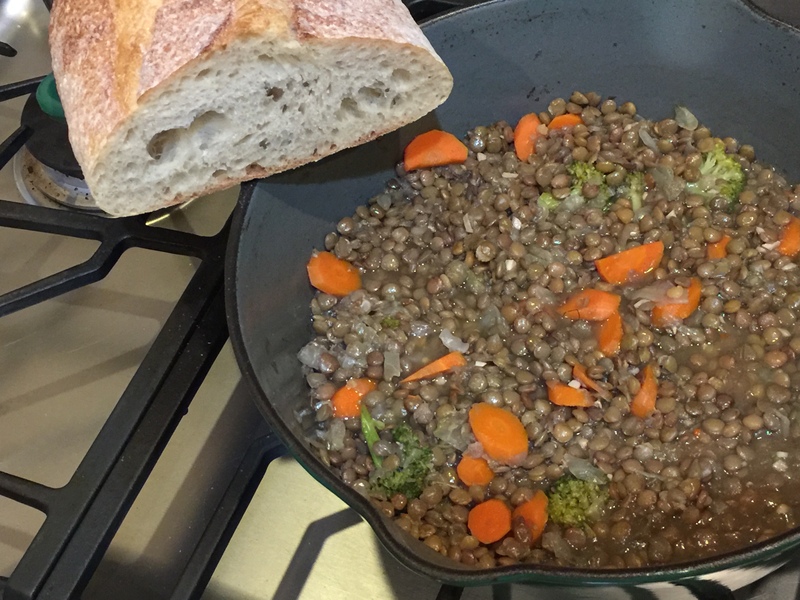 My dish was not a salad but a lentil stew with carrots, cabbage, and broccoli. The spices I used were cumin, coriander, and cardamom plus there were onions and garlic and a very hot chile. We ate it with Pugliese bread. It was yummy. This entry was posted in Legumes, Vegan, Vegetables, Vegetarian and tagged broccoli, cabbage, carrots, garlic, lentils, Onions. Bookmark the permalink.